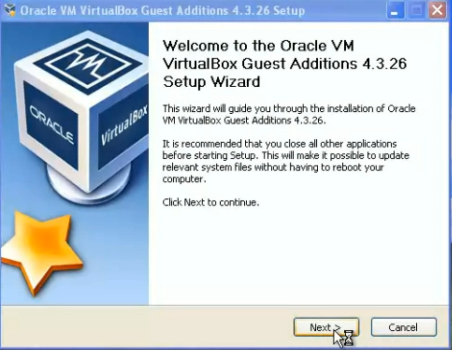 Ubuntu Virtualbox Windows How to install Windows XP Guest Addition in Ubuntu Virtualbox . 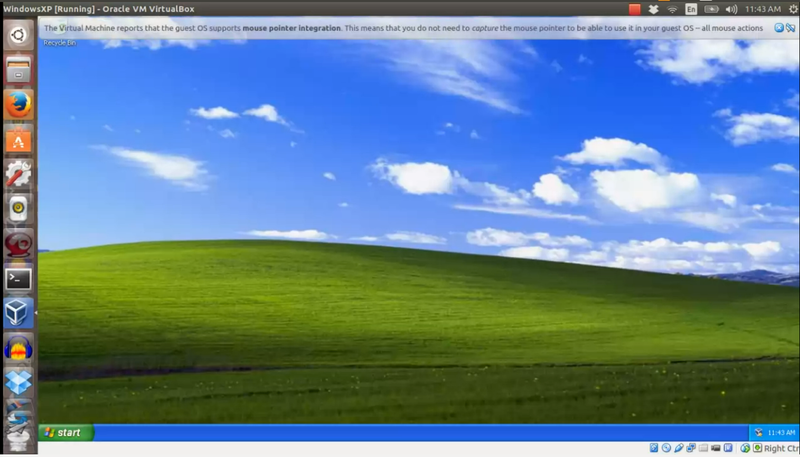 How to install Windows XP Guest Addition in Ubuntu Virtualbox . 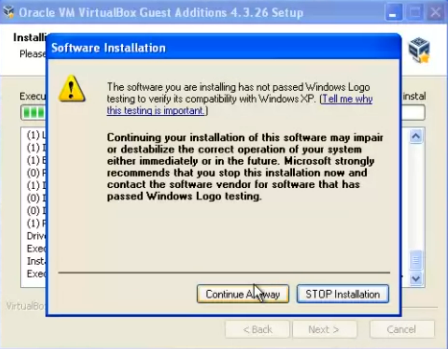 In this post, I'm going to share on how to install Windows XP Guest Addition in Ubuntu Virtualbox . 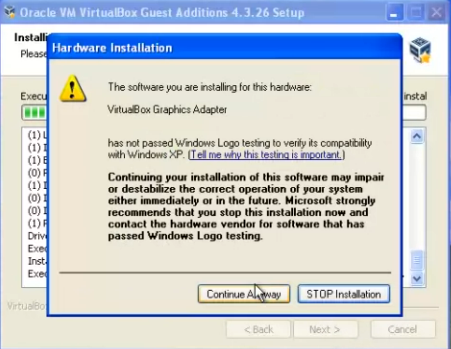 In order for you to follow with this tutorial, you need to have Windows XP installed on your virtualbox . If you haven't got this done , please check on my previous post. 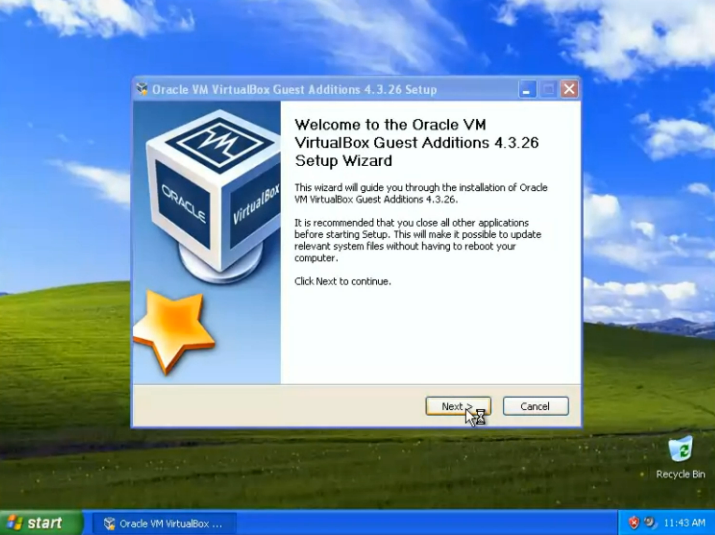 1) Run Windows XP on Virtualbox. 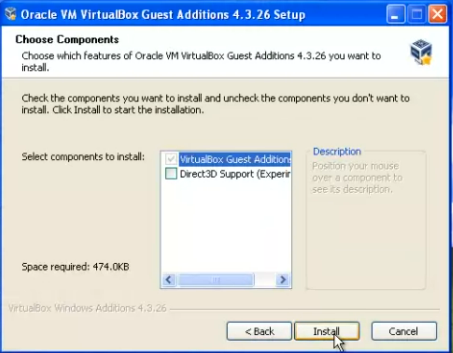 Go to "Device> insert Guest Addition CD Image" . 2) A Panel will be popped out. 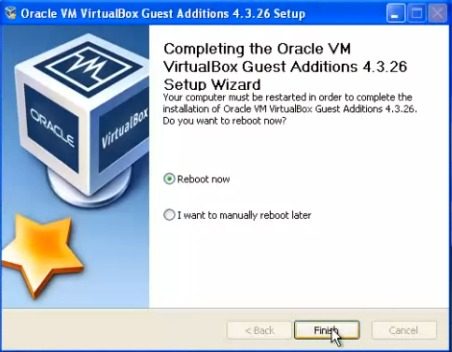 Click "Next" to proceed with Installation. 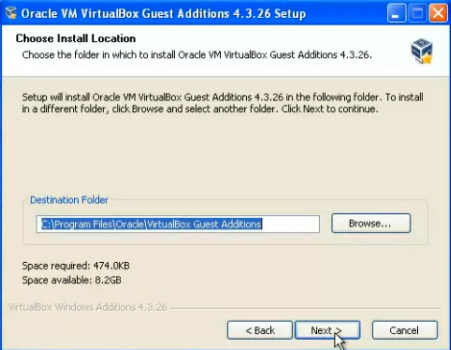 3) Choose the destination folder for the installation. Click "Next"
4) Choose the components that you want to install . I just leave it as default settings. 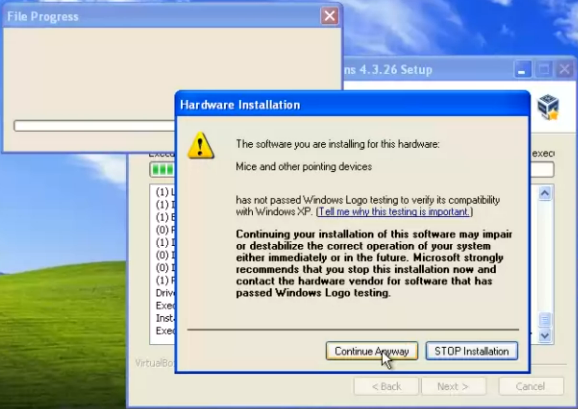 5) Few Warning windows will be popped out .These warning windows are asking permision to install video graphic adapter and mouse and pointing devices software. click "Continue Anyway" . 6) Once finish installed,Reboot the system. 7) Once rebooted,You should be running on Windows XP Guest Addition . 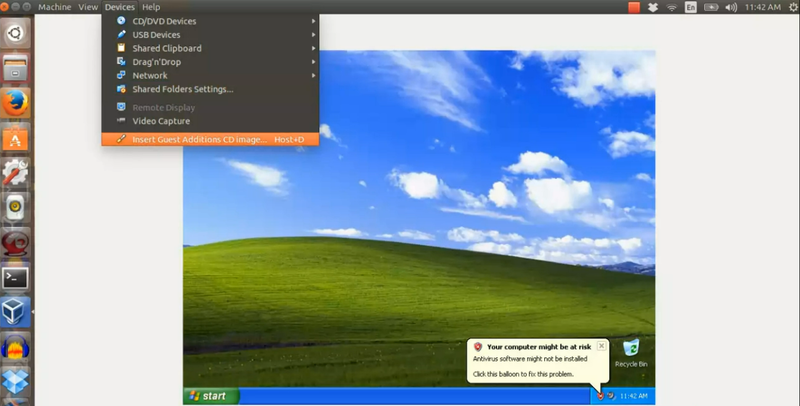 Read Next : How to share folder between Windows XP and Ubuntu host in Virtualbox.